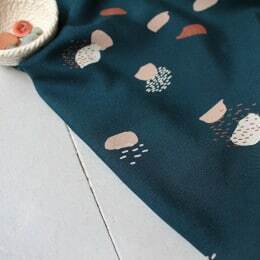 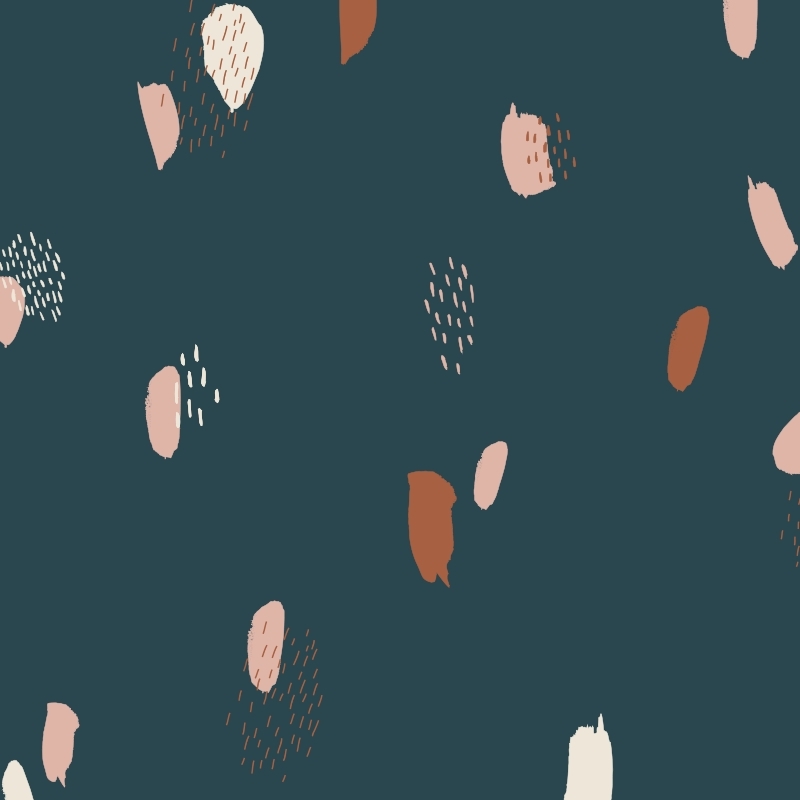 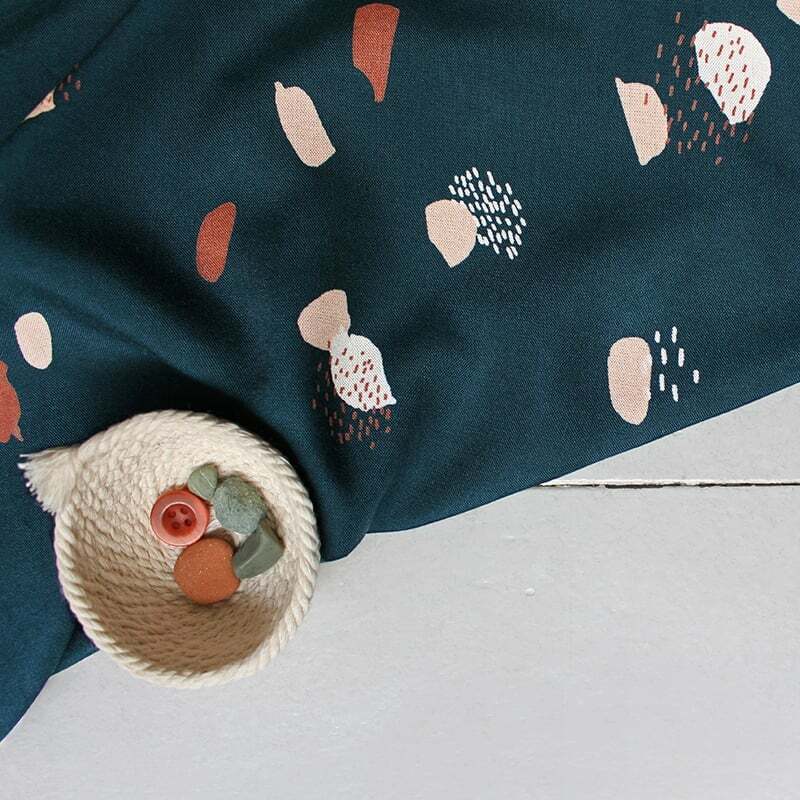 The Moonstone printed viscose fabric comes in three stylish and versatile variations to suit all seasons: Moonstone Green, Moonstone Blue and Moonstone Pink. Moonstone Green is a beautiful blue viscose rayon fabric with all over abstract poetic prints. You'll fall in love with this beautiful fabric that is ideal for sewing dresses, tops, skirts and trousers with perfect drape and comfort.